"If you want to fish, fish." ... all albums capture our passion for the river. "Give me that Jägermeister now!" 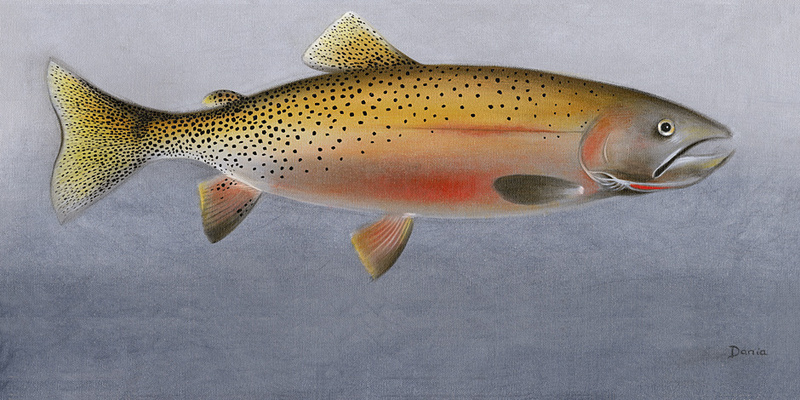 Scott's Fish is a cherished piece of original artwork from BIFF's art collection. See Scott's Fish, buy prints, and view more original artwork by artist Dania Darling at DaniaDarlingArt.com. A fly fisherman's respect for game and nature often extends beyond the river. "When you have shot one bird flying you have shot all birds flying. They are all different and they fly in different ways but the sensation is the same and the last one is as good as the first." If I'm not going to catch anything, then I 'd rather not catch anything on flies. That one does not fish for trout with spinning lures or live bait is taken for granted, along with toilet training. As with a faint star in the night's sky, one can better understand fishing's allure by looking around it, off to the side, not right at it. As fly fishermen, our respect for game and nature extends beyond the river, into the field. 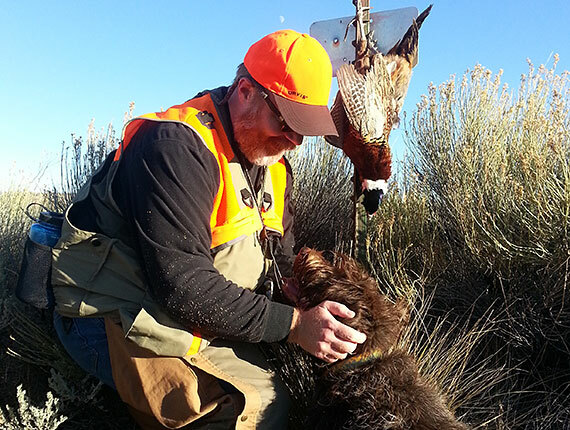 The hunting log is a less-than-formal posting of those trips to the field.